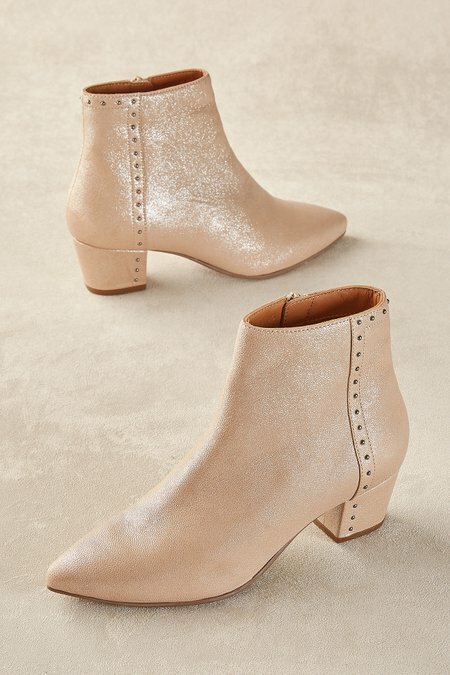 Whether you choose the shimmering blush metallic or deep matte black, these luxe leather booties impress with sleek details. Mini studs and topstitching trim the rear edge, continue down the outer side, and add a special touch to the covered heel. A tonal side zipper further streamlines the appeal of these amazing booties. 2" heel.